Bengaluru is one of only two Asian cities listed in the latest Compass Global Startup Ecosystem Ranking. The sustained growth of startups in Bangalore has resulted in the city boasting of 26% of India’s total startup count. The growth of tech startups has been especially stellar, and Bangalore now has a long list of companies that have outgrown the startup tag and become huge global enterprises. Here’s a selection of the most outstanding tech startups from Bangalore that make us proud to be Bangaloreans and Indians. These startup success stories will not only provide you inspiration, but also valuable insights about how to succeed and grow your business faster than everyone else. Want to grow your business? Come to Evoma. Get office space to network and cowork with Bangalore’s hottest tech startups. Flipkart’s journey from a small online book retailer to India’s largest e-commerce platform with over 75 million registered users has been an inspiration to a whole generation of entrepreneurs and startups. It was the first Indian Internet company to tap such a large base of users. How did that happen? Back in 2007, with an investment of only Rs. 4,00,000, this company turned their biggest challenge into an opportunity for growth by coming up with an effective strategy for accepting payments for ecommerce online sales. Flipkart made history by becoming the first online retailer in India to implement ‘Cash On Delivery.’ It’s something which every online shopping website in India offers as an option today. Launching their own distribution centre facility also enabled the startup to grow faster, and the number of shipments that Flipkart handles now exceeds 5 million shipments/month. Flipkart’s planned and meteoric rise helped them raise a billion dollars in funding from investors such as Tiger Global Management LLC, Accel partners, Morgan Stanley Investment Management and others. Flush with cash, the company then grew even faster through acquisitions such as WeRead in 2010, Mime360 and Chakpak.com in 2016, Letsbuy.com in 2012, and the latest hot fashion startup Myntra.com. Flipkart is now big enough to compete with other global ecommerce retailers and portals such as Amazon, eBay, Alibaba and Snapdeal. A company that started out with a small fleet of 7 vehicles in a single location, Zoomcar was the first car rental company in India that focused exclusively on self-driven cars. It has now grown into a fleet of over 250 cars at about 40 locations across Bangalore and Pune. With funds coming in from investors such as Sequoia Capital, Empire Angels, FundersClub, and Basset Investment Group, their next growth phase is expansion to other Tier 1 and 2 cities. Unlike rivals like ride-hailing service Ola – which is closing in on 100 cities, and includes long-distance ride services – Zoomcar is deliberately moving slower with an “efficient growth” plan. Customers can book their cars online as well on apps, and everything gets taken care of within minutes. Zoomcar is also the first to offer an electric vehicle, Mahindra REVA E2O, for rental. Known as the Airbnb for cars, Zoomcar has major plans to take it a step further by creating a marketplace program called ZAP, a hybrid model that lets car owners and Zoomcar work together to make a vehicle available for lease via Zoomcar’s platform. This platform could save the company large investments for fleet expansion, and also allows for rapid scaling. Another startup that has caught India’s attention is Urban Ladder, which has claimed the space of the country’s top online furniture and home decor marketplace. The company’s concept of “furnishing your own home” allows Urban storage app users to design their homes virtually and then “add to cart”. The company said it will also be working on another app which will allow customers to “visualise different models and fabrics of sofas in their living room to best suit the colour scheme and details of their home”. This idea for this startup came from a personal pain point for Ashish Goel and Rajiv Srivatsa, co-founders of Urban ladder, when they shifted to Bangalore and found their own houses devoid of high quality furniture. Backed by high-profile investors such as Ratan Tata, the company has already raised $77 million. Instead of trying to catch up with competitors like Pepperfry (launched Jan 2012), FabFurnish (March 2012) and HouseFull (August 2006), they focused on three major cities, i.e, Delhi, Mumbai and Bangalore, for about a year. They did limited Facebook marketing and also spent resources on analytics to understand the combinations that customers want. For example, which tables sell better with which beds and so on. One of their best selling products is the Hamilton Nested Stool, a set of three stools that fit one beneath the other. Attention to designs that are multi-functional and cater to the demands of new-age urban homes is what differentiates Urban Ladder’s products. Lucep has developed an Artificial Intelligence-powered “Sales Gorilla” to automate a lot of what goes into generating leads and then acting on them fast. As online marketing ad budgets are moving from desktop pay per click to mobile-friendly click to call ads, Lucep is perfectly positioned for huge growth in its subscriber base. The combination of the Lucep website widget and mobile app connect your sales team to website leads in less than 60 seconds. Lucep has already made major inroads into the enterprise market and counts Starwood Hotels, global real estate company CBRE, and online marketing firm PurpleClick among its users. Bigbasket.com is one of the leading e-grocers in India, and they give credit for their success to certain unconventional approaches. Hari Menon, Co-Founder and CTO, Bigbasket, justified their inventory based model by stating that without a visible inventory, it would be difficult meeting large orders from customers. The company also took a different approach in its hiring process for retainable delivery boys by going to smaller cities and providing hires with relocation assistance such as affordable housing. Bigbasket recently raised another $50 million from existing investors led by Bessemer Venture Partners and earlier from Helion Ventures and Zodius Capital. With almost 5000 orders per day, this team of around 2000 is already currently operational in seven cities. With this new funding, it plans to expand to more Tier 1 and 2 cities, and add more huge distribution centres and infrastructure to support one-hour express deliveries. 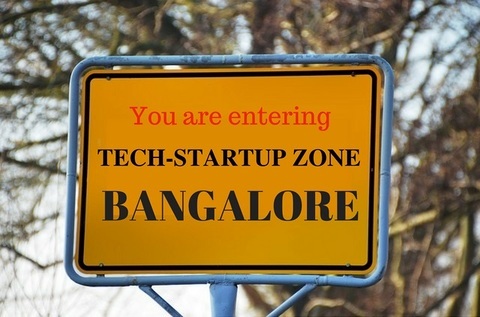 Want to meet more of Bangalore’s top tech startups? Come to Evoma.